Open Access and Open Scholarship have revolutionised the way scholarly artefacts are evaluated and published, while the introduction of new technologies and media in scientific workflows has changed “how” and to “whom” science is communicated. The modes of interaction between the public and the scientific community are also changing due to the internet and social media. The OpenUP project studied key aspects and challenges of the currently transforming science landscape to provide a cohesive framework for the review-disseminate-assess phases of the research lifecycle that is fit to support and promote Open Science. 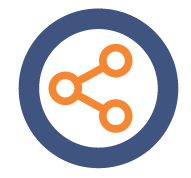 OpenUP synthesised and validated key project results and derived five recommendations to foster the take-up of novel practices in scholarly peer review, research dissemination and assessment while considering existing gaps in evidence and disciplinary differences. 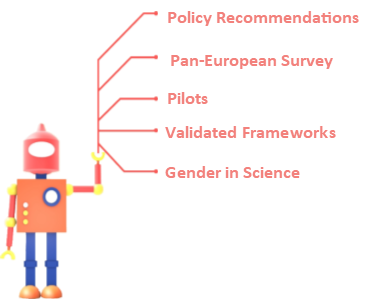 OpenUP policy recommendations are directed to the stakeholders of the research lifecycle, including EU, national and institutional policy makers, funders, librarians, infrastructure providers, publishers and researchers themselves.